I believe, after this tutorial you usually visit google video for finding videos for your website! Search your video in the Google videos search box! After searching, you will see the results page. Choose your video from the left side of this page. There are video name and video link under chosen video which appears in the right side of this page. Click name or link! After clicking, your video will appear in its own page with all details. 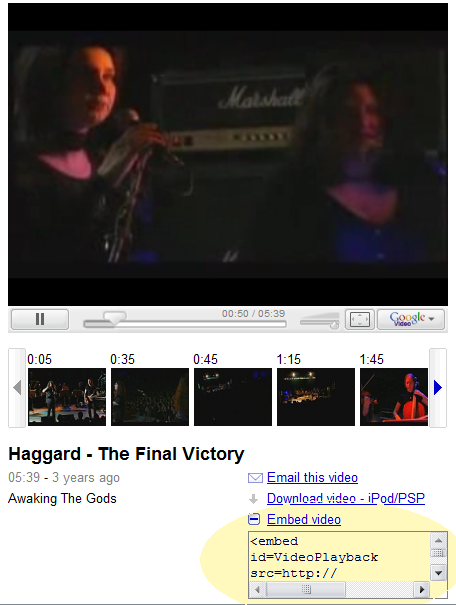 And finally, you will see 'embed code' option under the video! Click 'embed video' button for seeing its embed code. Copy the code, and paste it to your page editor! After pasting video's embed code, your visitors and you can watch the video in your website.